Gloria Nasr was born in Beirut in 1970 and has been living in France since 1995. She is a specialist in physical medicine and rehabilitation. Gloria began to run in 2002. She participated in the Paris Marathon in 2003 and ran numerous marathons in the following years. She ran the New York, Berlin, Copenhagen and Beirut Marathons among others. She completed the Marathon des Sables, known as the toughest race on earth. Gloria Nasr was born in Beirut in 1970 and has been living in France since 1995. She is a specialist in physical medicine and rehabilitation. Gloria began to run in 2002. She participated in the Paris Marathon in 2003 and ran numerous marathons in the following years. She ran the New York, Berlin, Copenhagen and Beirut Marathons among others. She completed the Marathon des Sables, known as the toughest race on earth. In 2012, Gloria Nasr ran from Paris to London for the Olympic Games, a 10-day race of 490 km. She participated in the Lille Ultra Marathon, together with 4 disabled athletes who competed in the last Paralympic Games in August 2012. Ten years after her first marathon, Gloria Nasr began her Paris-Beirut transcontinental race on April 7th during the Paris Marathon. This 5000 km race across France, Germany, Austria, Hungary, Romania, Bulgaria, Turkey and Lebanon was dedicated to peace in Lebanon and the Near East. Gloria Nasr ran 52km per day. A team was accompanying Gloria Nasr during her race. Departure date: Sunday 7th of April at 8:45 AM Paris time, 9:45 AM Beirut time with the “Marathon de Paris”. Gloria crossed most of the European countries and Turkey. She reached Lebanon on July 10, 2013. 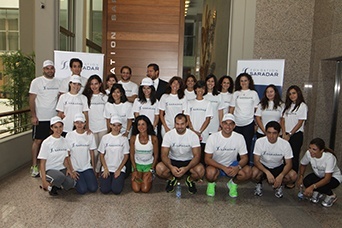 During a press conference held at Fondation Saradar headquarters on July 11, Gloria Nasr mentioned her willingness to run in Lebanon, considering that the success of her race on the Lebanese territory was a new challenge. Departure took place after the press conference. Gloria Nasr headed to Adonis accompanied by a small team of SARADAR Group members. Then Gloria proceeded to Batroun, Harissa (July 13). She pursued her marathon in Mount Lebanon, across Aley, Deir el Qamar, and in Jezzine, to finally reach Barti (East of Saida) where her father is buried. The Mayor of Barti held a ceremony to congratulate Gloria for her achievement. 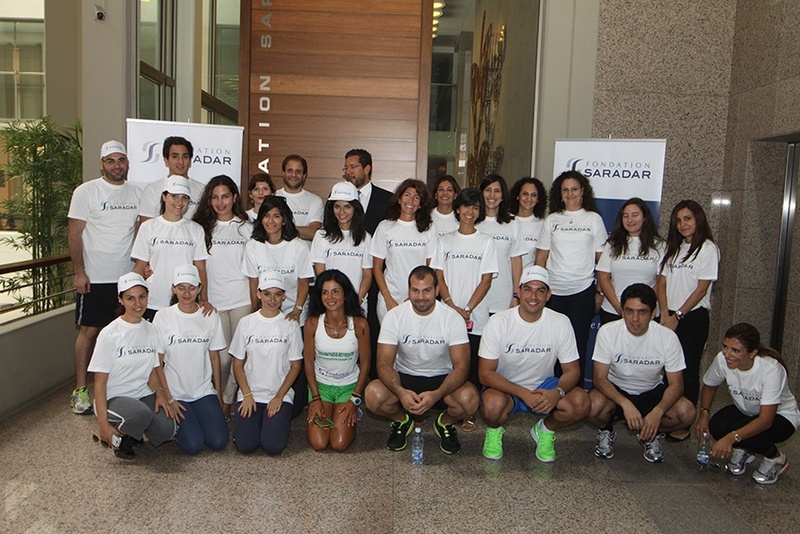 Another official event in honor of Gloria was scheduled by the Governor of Saida.